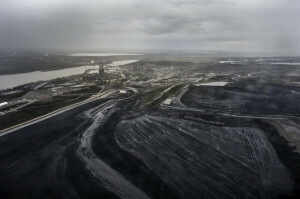 Oil majors are dumping Canada’s tar sands assets and investors are walking away from new projects. It’s the latest sign that the massive expansion the industry planned at the start of this decade is quickly falling apart. Canada’s status as one of the highest cost, highest carbon sources of oil is hurting the industry and starting to keep oil in the ground. If the current trend continues the world could end up dodging a serious bullet. Over the next 20 years, Canada’s oil industry had drawn up plans to increase oil production faster than almost any other country. That rate of expansion from such long-lived tar sands projects would be a disaster for the climate. If the industry achieves its goals, we calculated that canadian oil – mostly tar sands – could end up using up 16 percent of the entire global carbon budget to keep temperatures below 1.5°C. Expansion at that scale would block the world from reaching climate safety. At the moment, however, growing headwinds to that planned expansion are encouraging. This week, Royal Dutch Shell and Marathon Oil shed most of their tar sands assets – selling a stake in a group of major mining projects to Canadian Natural Resources Limited. Late last year, Norway’s state owned Statoil sold off most of its tar sands projects at a big loss. In 2015, France’s Total sold part of its stake in a major new mining project. Bit by bit, major international oil companies are backing out. Tar sands backers try to put a positive spin on these divestments, pointing out that tar sands projects are increasingly owned by Canadian companies. However, the harsh reality is that Canadian companies themselves don’t have deep enough pockets to finance tens of billions of dollars’ worth of expansion projects, and investment is drying up. The real reason from companies pulling out of Canada is that tar sands projects no longer look like the best use of their cash. Justifying the huge upfront costs of building a tar sands project is difficult in a world where oil prices might stay lower for longer. Without high oil prices, a big chunk of tar sands reserves won’t be profitable to dig out of the ground. A quote from Marathon Oil CEO Lee Tillman shows why companies are backing out: investments are not paying off. The decline of profitability is also stranding assets. ExxonMobil and ConocoPhillips were forced to admit last week to financial regulators that a combined 4.3 billion of barrels of their previously ‘proven’ oil reserves might have to stay in the ground, the vast majority of it in Canada’s tar sands. The move has stranded $183 billion of assets based on current oil prices. As of today, no substantial new investments have been made in tar sands expansion beyond 2020. This raises the real possibility that without a jump in oil prices, tar sands expansion could hit a brick wall. And by the 2020s there’s likely to be serious downward pressure on prices as electric vehicles take hold. If Prime Minister Trudeau and Premier Notley were paying attention, they would recognise that tar sands expansion has no place in a carbon-constrained world. They would invest in diversifying the economy into sectors with real prospects, and ensure workers and communities thrive while going through a smooth and just transition. Instead, they are pumping tax dollars into subsidising more tar sands, approving pipelines that threaten the nation’s rivers and coasts, and trying to prolong the demise of an industry that has had its day. Their efforts only serve to worsen the pain for Albertan workers and communities, who deserve better: a government with a plan. We can’t rely on these trends to protect the climate, however; oil prices are notoriously difficult to predict and if new pipeline infrastructure is put in place, expansion could rapidly be put back on the table. But the recent slowing in investment does give us a chance to take stock. It turns out that new tar sands projects and the pipelines which feed them could create huge financial risks in addition to the risk they create for our environment. The safest bet for everyone remains blocking new pipelines and tar sands projects before they get built.